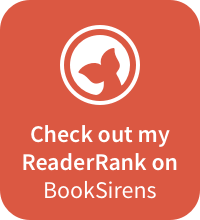 Author EllePosted on December 31, 2017 April 27, 2018 Categories uncategorised10 Comments on I’m back! Seriously, if you like m/m romance, read this book. Don’t read it for the spy theme or the ‘enemies to lovers’ trope. Read it because it’s unique and hilarious and sweet and easy to read. A perfect book to get lost in or to lounge by the pool with or to read on a rainy day. Okay, whenever. Ha ha! I enjoyed it, can you tell? The very beginning had me thinking ‘Wait, is this the book I thought it was?’ and then I was like ‘Oh damn! That’s different. Love it!’ From then on, I was in. Let me know if you read it, and if you do, if you enjoy it! I didn’t have particularly high expectations of this book, but I did come away with a few grumbles. If you can believe that a man can’t tell that the stable lad is actually the same lass he’s sleeping with, when the only thing to change is the clothes, then that’s fine. I had my doubts, but you suspend your disbelief with books like this, don’t you? I did feel the ‘disguise’ needed a little more substance, but whatever. The thing that really bugged me was the head hopping – literally different points of view from paragraph to paragraph, and the fact that the author kept referring to things from a character’s point of view that the character couldn’t or didn’t know. For instance, we’d be in the hero’s point of view, and the author would refer to him calling out to the girl working in the stables, but the hero didn’t know it was a girl and so it should have been referred to as the hero calling out to the boy working in the stables. That makes sense, right? I think if the book was written so we stayed in one character’s point of view completely for a whole chapter at a time, the book would be a decent three star and have potential for a fourth. I think it would be a light, easy read.